Showcasing a woven chenille block design fabric done in a stunning black and camel color combination, Bellagio Lined Grommet Valances feature modern grommet top styling. The easy sliding grommets make hanging these handsome valances on your favorite decorative rod a snap. 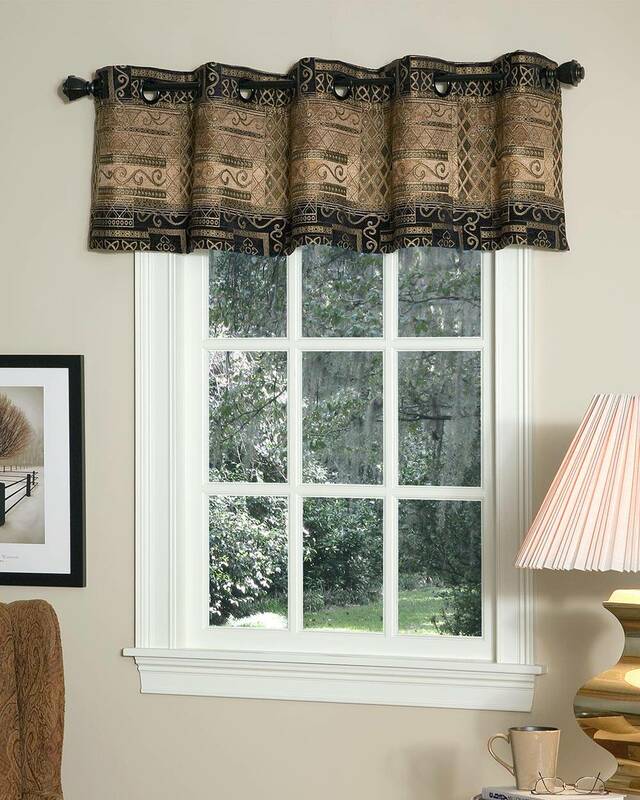 Valances are lined for enhanced weight and to protect from harsh sunlight.